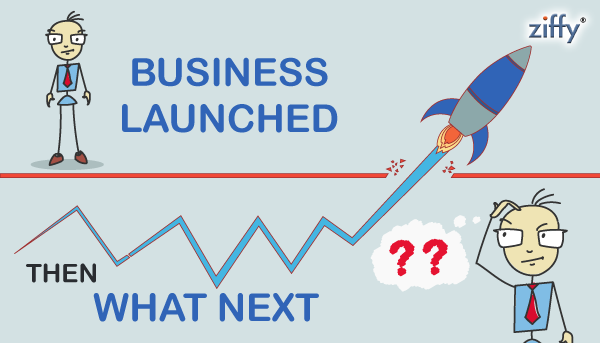 Is your Business launched then what next? Many people believe starting a business is a mysterious process. They know they want to start a business. Starting a business is a big deal. Given how much is at stake, it’s not a decision to undertake lightly. After you have successfully launched its not the time to get relaxed. There is a lot of work you have to do to ensure your business launch is set up for its best chance at success. You need to work more hard and implement whatever strategies you have planned for the business. Apart from the usual marketing strategies/tools that every entrepreneur would consider, here’s what you should try next on your mission to create a successful brand. You have planned everything about your new product or services and you do also have a plan how to present it in front of your consumers. But you need to re check everything your plan for the business launch. Do you need any changes in your website considering both appearance and functions. Is the business ready to fulfill multiple orders in a timely fashion. It’s better usually to wait until your business is ready rather than figuring it out as you go and running the risk of offering a bad product or services. Your Business totally depends on your Customers. Your business can smartly dominate the existing competition in the market with ‘reciprocal’ customer loyalty, a premium relationship established to benefit the brand and the consumer. Being the ‘new’ face in the market, your brand needs to go street-smart; follow your customers wherever they go; even your happiest customers will need a push every now and then, but the good news is – they’ll soon become incredible brand. There are many reasons why an enterprise might want to adopt cloud computing.With cloud telephony, small companies and start up companies see savings, while larger companies see mounting costs over a long life cycle. But cloud agility is appealing. Establishing healthy communications system will help customers feel like they really have a voice. Ensure your business makes the most of cloud communications to project customer centricity and enhance your brand’s professional outlook. Replace your traditional systems with cost-effective cloud communications to streamline inbound and outbound calls and you will never miss a business call, seamlessly integrate with your CRM, leverage your brand image, facilitate personalized interaction and spark customer engagement to create an overall buzz, generate more leads and be the brand your customers ever wanted.